This time, we revisit Jackson Hole with the Chillfactor Ski Magazine crew. Jackson Hole is the grand-daddy of North American big mountain resorts, a place of snow legend where the mountains are bigger, the powder deeper, the cowboys crazier and the tram cosier than anywhere else on the continent. It grooms just one way down from each chairlift and gives its instructors special training in teaching people to handle its slopes. 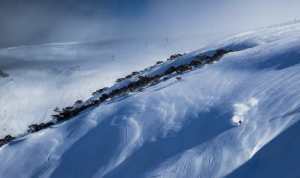 If you like groomers and rely on instructors well, a week a Jackson Hole will cure you of that. 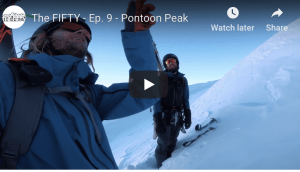 There’s only one thing better than Jackson Hole on a powder morning and that’s Jackson Hole on a powder morning with a crew of genuine JH local pros who know every secret spot and hidden stash. This is not because it’s hard to find the good skiing at JH but because the amount of simply amazing terrain is somewhat overwhelming. We had four local pros with our crew and four days of all time skiing. JH’s terrain is a perfect combination of pitch, length and variation, it’s steep, really steep, but not crazy I-can’t-get-a-proper-turn-going steep. 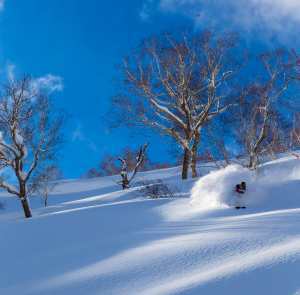 It’s super long, you get value for money with every run, and it combines glades, trees and bowls in the most spectacular way. 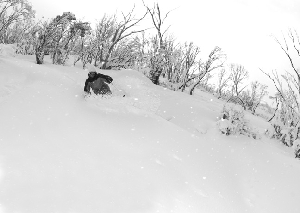 When covered in a few feet of fresh every single inch of the place is dream skiing. Jackson Hole stopped fighting the battle to keep people within the resort years ago. Now access gates litter the resort boundary, Teton Mountain Rescue is enlisted for backcountry rescues and there’s a handy chairlift to pull you out of the valley and back to the resort. So there’s 500-acre playground filled with cliff bands, bowls, glades and some of the most thrilling tree skiing you’ll ever hope to find. It’s all too easy to score some seriously amazing turns but as always, the more you work the better your reward. We undertook a couple of semi-decent sized hikes and each one ended in a phenomenal run. The sad truth of skiing is often the way up takes much longer than the way down. When you hike for 20 minutes and are rewarded with a 40 minute run that begins in a bowl rimmed in cliff bands (or above the cliff bands if that’s what you’re after), funnels you into some video-game style tree skiing and shoots you out into a powder covered glade, any one part of which you’d say was worth the walk, well, you’ve found snow-nirvana. You come to JH for the snow but the cowboy culture is a more than welcome added bonus. Winter is actually the area’s low season, there are plenty of genuine, Stetson-wearing, bow-legged cowboys in Jackson just waiting for the snow to melt so they can go shoot themselves some deer. Perhaps because of the intensity of the riding, the resort hasn’t become a glamour-town in the way Aspen or Vail have, there’s serious wealth in the area but it’s low-key; the town’s vibe is authentically Wild West with just a touch of hippie – conservation and natural principles are big here. – The riding. Jackson Hole has a legitimate place on any top ten all time snow resorts list. The place is all big mountain but the resort has a way of easing you into it by providing a series of steadily more intimidating challenges. Those who wouldn’t consider themselves powder hounds can progress from their first in-resort face shots to backcountry tree-skiing in no time. – The culture. This corner of the American West with its cowboy-hippie vibe is more of a cultural experience than you might expect from the USA. – The Hostel. Smack bang in the middle of Teton Village – the resort’s tiny base area – sits The Hostel, an institution of a place where rooms are cheap, the lifts are on hand and the common room plays host to an entertaining array of ski-bum types. It’s a nod to JH’s down-to-earth ethos that this place has almost the best location in the resort.